Who: If you’re thinking what Thiruvananthapuram parliamentarian Shashi Tharoor will hit you with next, I’d say it’s a futile exercise, or like the man himself would say, it’s an exercise in “floccinaucinihilipilification”. Let’s call it the F word, for now. Some say Tharoor deliberately uses sesquipedalian expressions (characterised by use of long words), to which he says that it’s precision and not rodomontade (boastful talk) that he indulges in. One can only wonder why he decided to apprise his Twitter followers about the meaning of the word snollygoster (unprincipled, especially a politician) last year. Perhaps he never truly let go of the fact that Narendra Modi beat him to become the most followed Indian on Twitter soon after he became the prime minister. But then, he would disagree and say it’s puerile (childish). And believe me, you don’t want to engage this man in a debate. 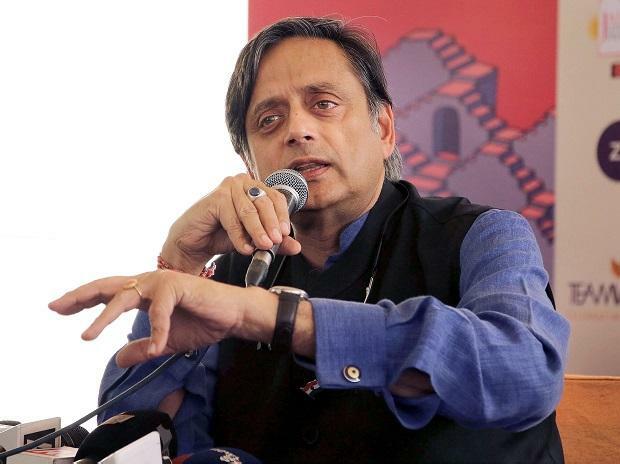 Where: At the expense of his latest victims, who were too petrified to pronounce the biggies he threw at them, Tharoor had a good laugh on Twitter recently. He said, and I quote, “I am sorry if one of my tweets y’day gave rise to an epidemic of hippopotomonstrosesquipedaliophobia”, which mean “fear of long words”. But he didn’t get us all. You should hear Twitter user Suganndha Mehrotra’s adorable two-year-old taking a go at “floccinaucinihilipilification”. Even Tharoor was amazed how close she was to pronouncing it right. And that’s really saying something. What: Tharoor knows how to market what he writes and he writes what he can market. But he didn’t have to do it this time. It had the picture of Modi on the cover. It’s titled The Paradoxical Prime Minister — Narendra Modi and His India. But he did it anyway. He used the F word with it. And his Twitter followers were flabbergasted. And the reverence followed. Mostly the trolls and some users who were uninterested in engaging in a more constructive debate pertaining to a certain hashtag that broke the internet went into a tizzy. People have been throwing longish, almost useless, words of their own. At least two people have also come forward with screenshots claiming that they used the F word in reply to Tharoor and that’s where he picked it up from. But then Tharoor would say that it’s all a farrago of distortions. Whatever the case, the Tharooresque exercise that started with the F word turned out to be quite the opposite for those people who dig new words. It was supercalifragilisticexpialidocious.